Every minute you spend working in the office or on the computer is time away from the site. 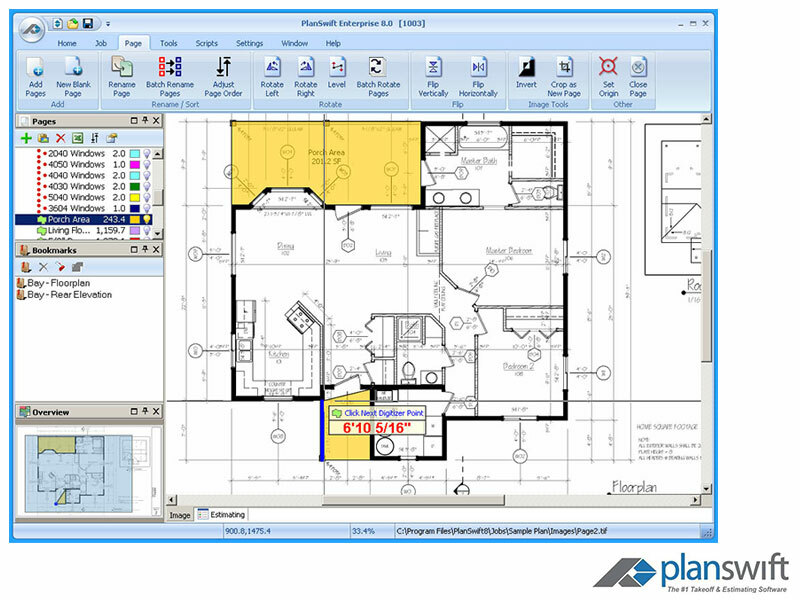 Performing manual take-offs from plans consumes valuable time and can be a tedious process. 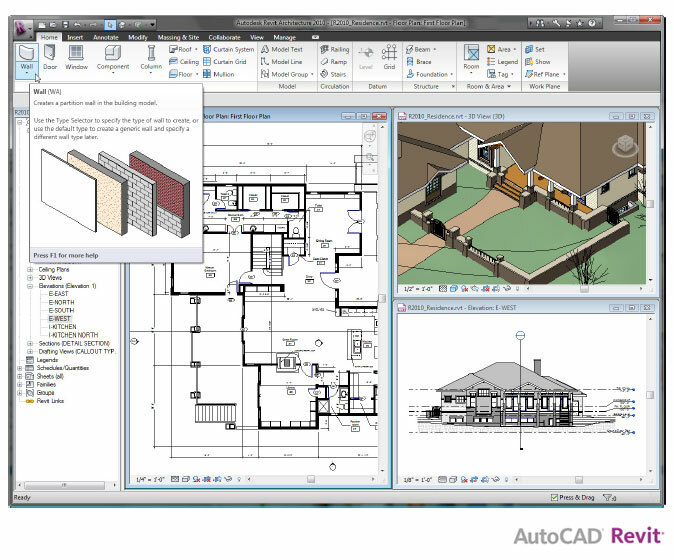 But the new integration with AutoCAD Revit, SoftPlan, Cadsoft Envisioneer, Chief Architect, eTakeoff, Planswift, and CAD Estimator enables you to substantially reduce time spent doing material take-offs. 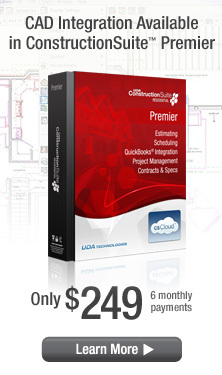 The advanced integration between components in UDA ConstructionSuite makes it easy to eliminate time-consuming tasks that chip away at your bottom line, and the new integration with AutoCAD Revit, SoftPlan, Cadsoft Envisioneer, Chief Architect, and eTakeoff is just another step we've taken to ensure that you spend your time wisely. 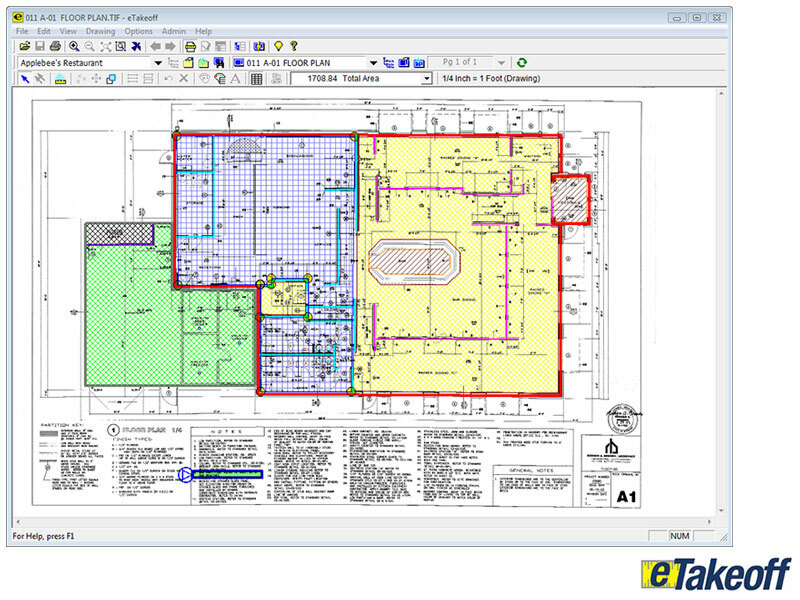 Dramatically cut the time you spend doing take-offs from plans. 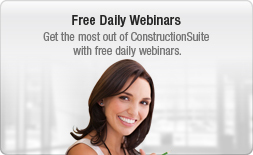 Reduce errors that can occur from double-entry tasks. 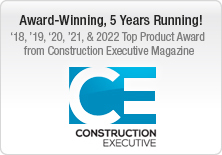 Quickly develop a comprehensive project estimate. 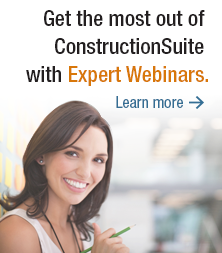 Leverage your construction estimating information throughout the entire ConstructionSuite system to give you the information you need, when you need it. 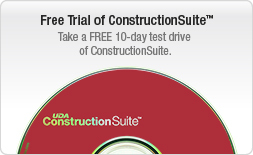 Open a ConstructionSuite Estimate and Import the materials data from your CAD application. 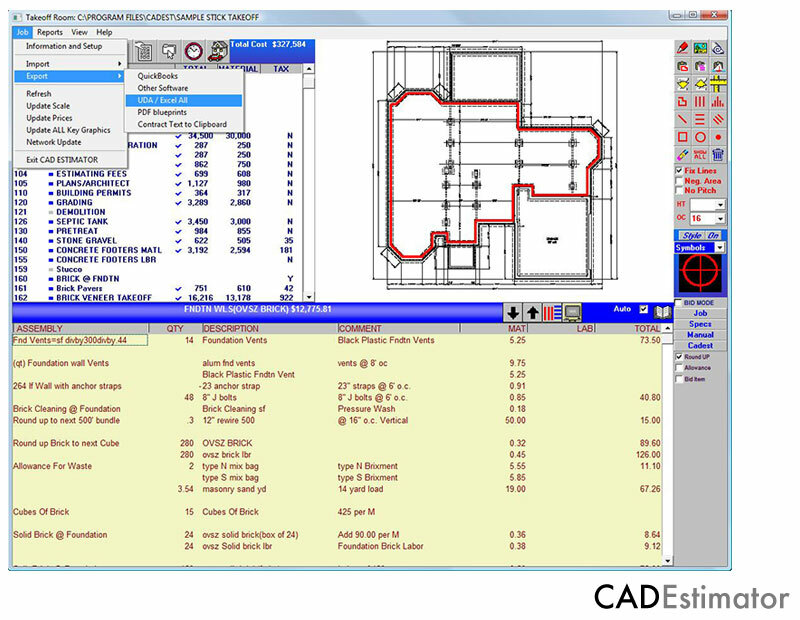 Your estimate is automatically built with the Categories, Subcategories, and Items from your CAD file. 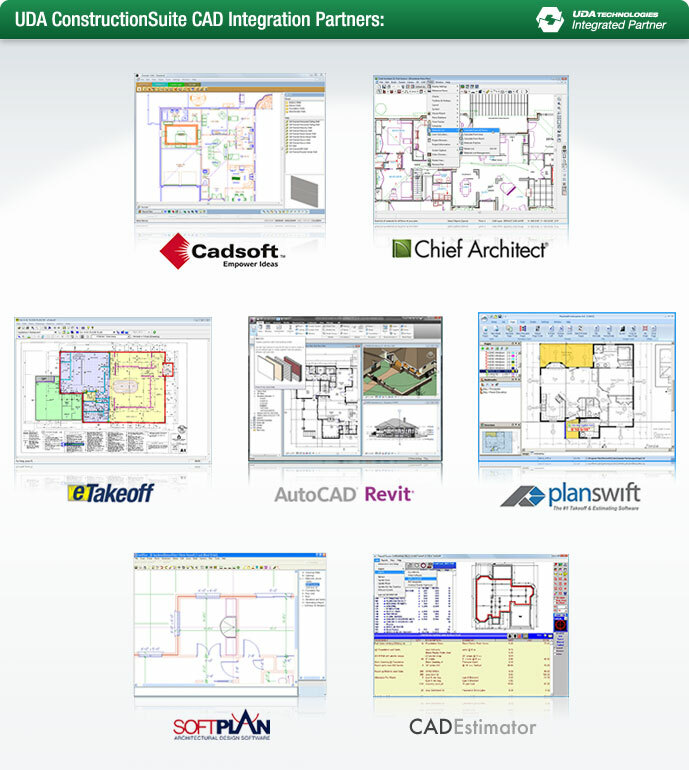 Import the AutoCAD Revit, SoftPlan, Cadsoft, Chief Architect, Planswift, eTakeoff, or CAD Estimator file. 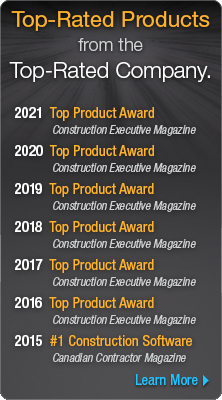 Sit back and watch UDA Construction Estimating software automatically build an estimate complete with categories, subcategories, and items with quantities and costs. Now you can use best-of-class systems to go from design to paying subs and suppliers without having to double- or triple-enter your numbers. 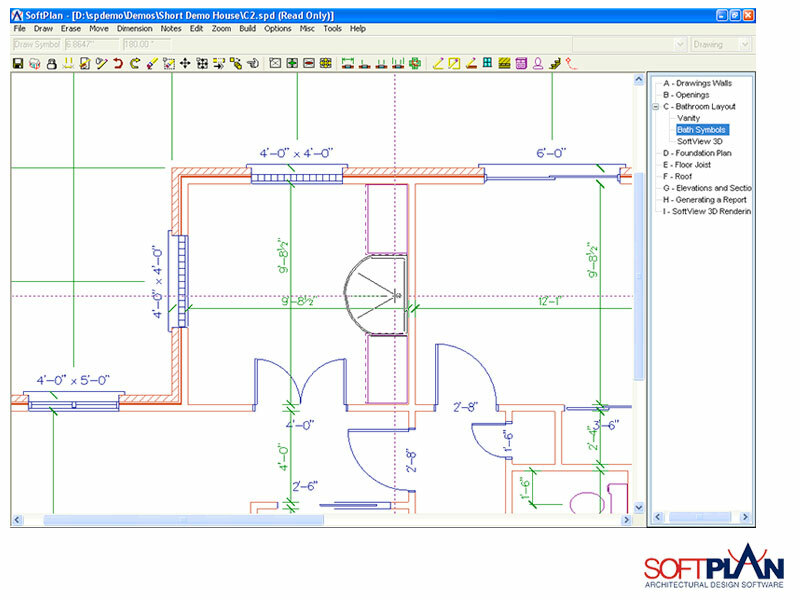 From the rendering in AutoCAD Revit, SoftPlan, Cadsoft Envisioneer, Chief Architect, or eTakeoff, you can create a bill of materials and then easily import it into the ConstructionSuite system for a detailed breakdown of quantities, units, and costs. 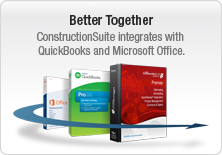 Then, take advantage of professional-grade project management that integrates UDA Construction Estimating software, Schedules, Contracts, and more before utilizing QuickBooks Integration to create a chart of accounts, invoices, purchase orders, and budgets. 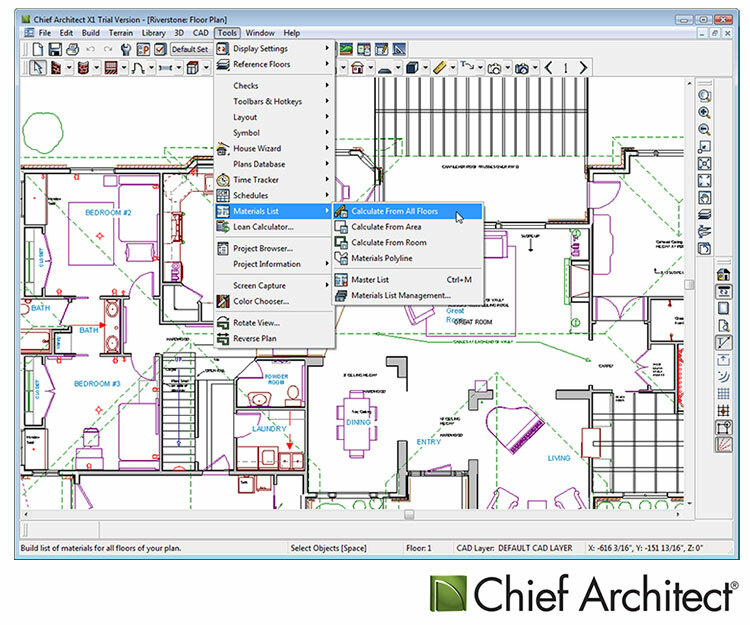 Take-offs are made easy with the new CAD Integration, available when you use AutoCAD Revit, SoftPlan, Cadsoft Envisioneer, Chief Architect, or eTakeoff with a Premier, Corporate, or Network version of ConstructionSuite. 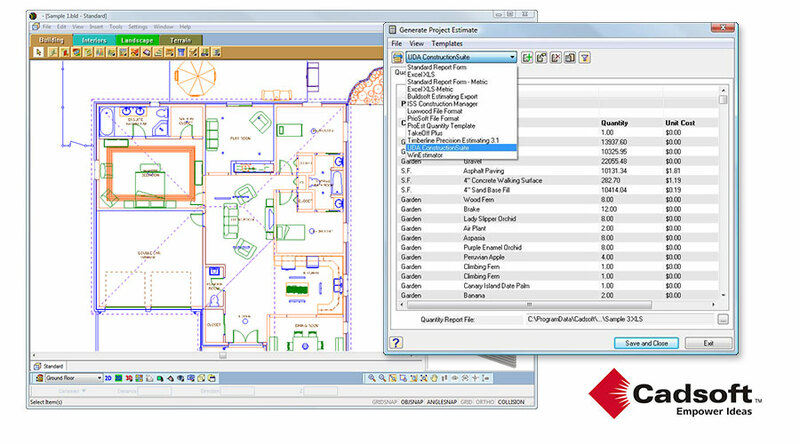 Note: You can also enter project dimensions and quickly populate the quantities in your construction estimate with the Takeoff/Dimension feature in UDA ConstructionSuite.